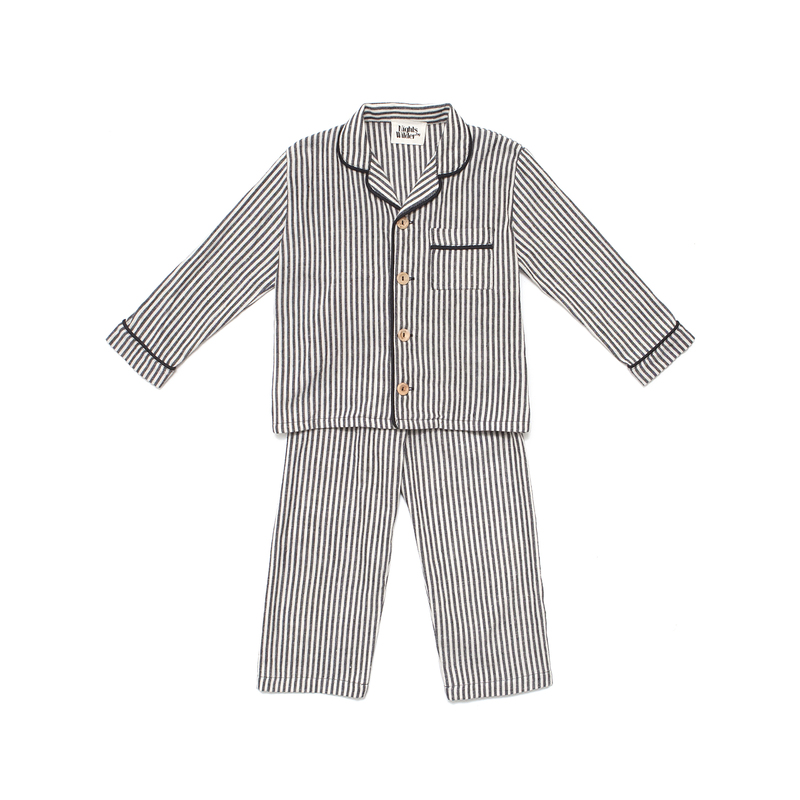 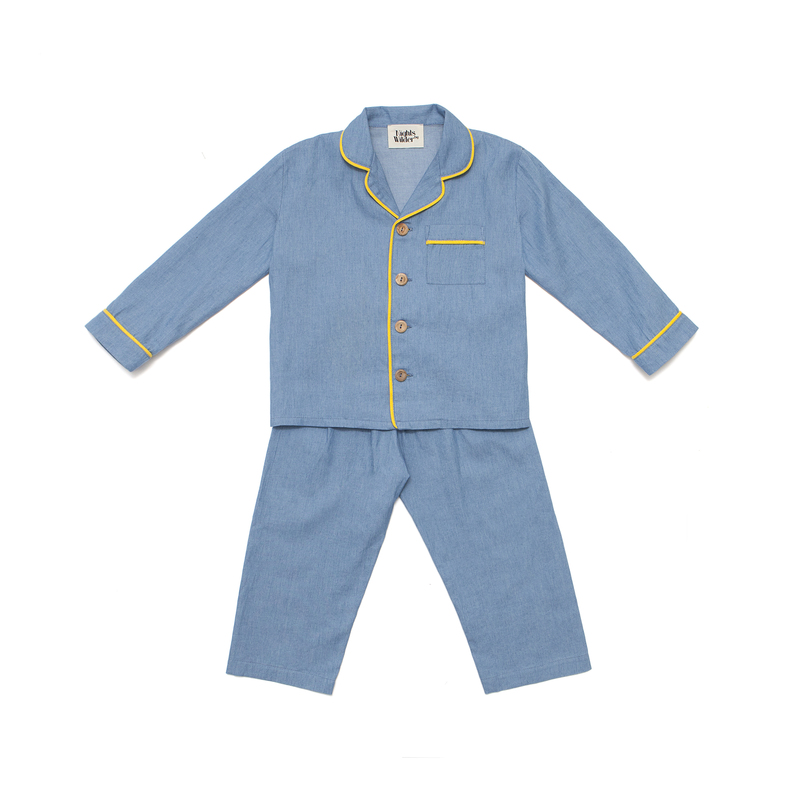 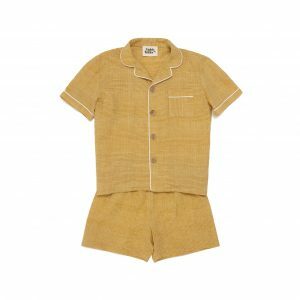 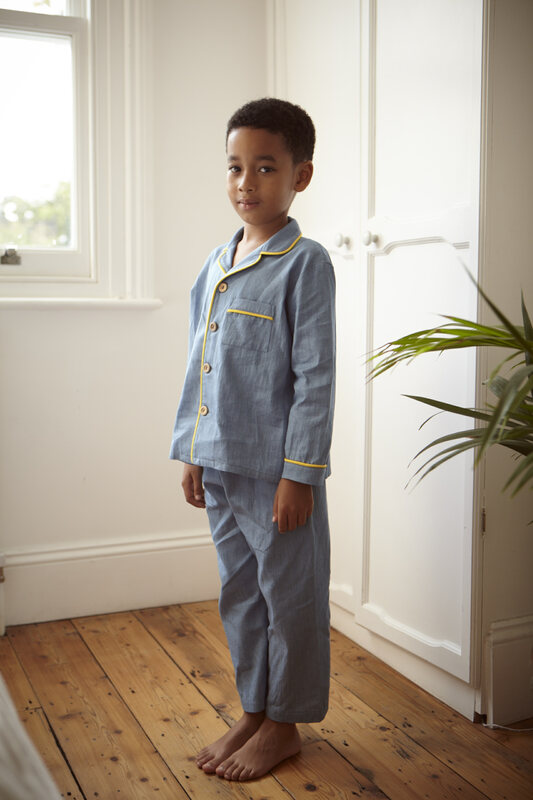 Classic unisex pyjama set with button down style shirt and elasticated waist trousers for ease and comfort. 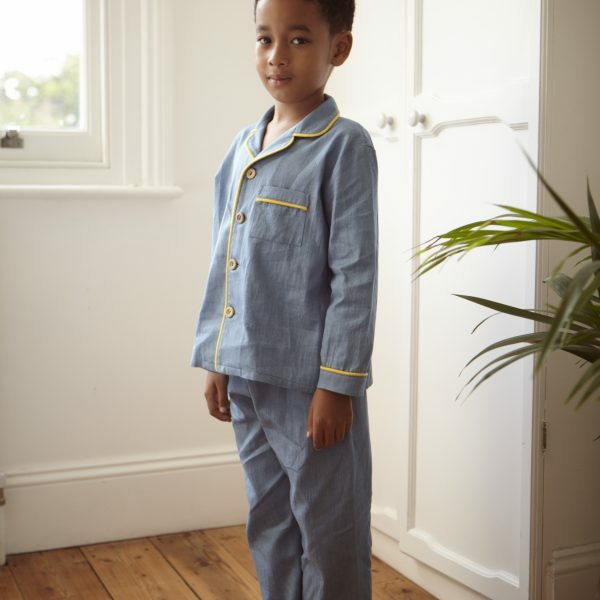 Available in either blue chambray cotton with a fun yellow piping or organic black stripe with black piping. 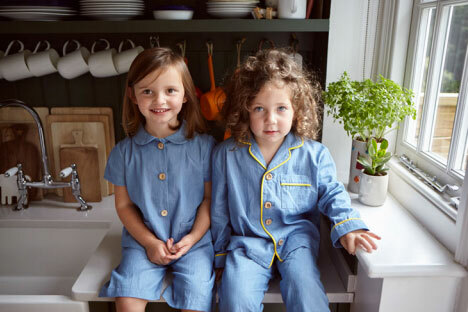 Monogramming available on request, perfect for gifting.